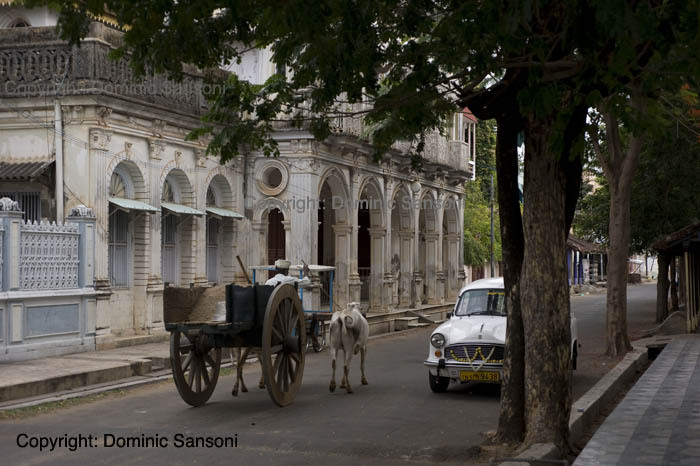 DOMINIC SANSONI: The Ambassador & bullock Cart. Karaikal. Puducherry, South India. The Ambassador & bullock Cart. Karaikal. Puducherry, South India. 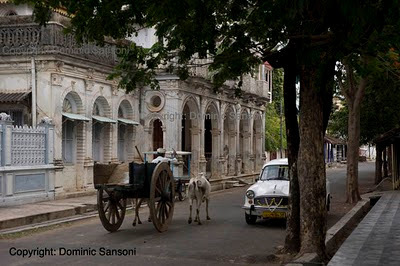 I came across your blog and photo while searching for images of Karaikal (Pondicherry) India. Could you kindly tell me, if there are any more colonial buildings in Karaikal? I'm doing a project on conservation of old heritage buildings. Could you also please tell me the name of the building in this photo and when did you click this image. Whenever I visit your blog, I want to pick up my camera and go for a walk. Great shot.